Pollen Nation…Wheeze you were here! 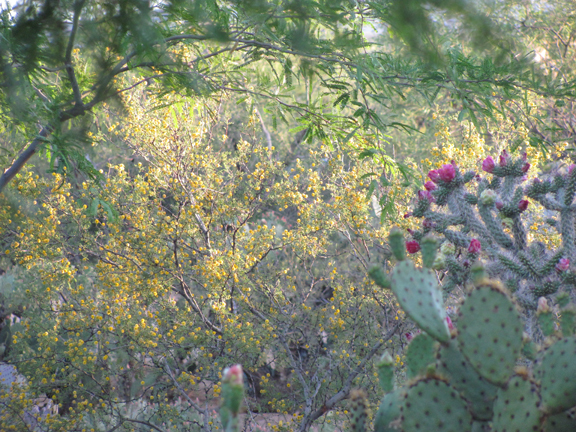 The mesquite and acacia trees are in full bloom, just as Todd’s Backyard heats up for the summer….That means the yard is aflame with fuzzy little ‘flowers’! 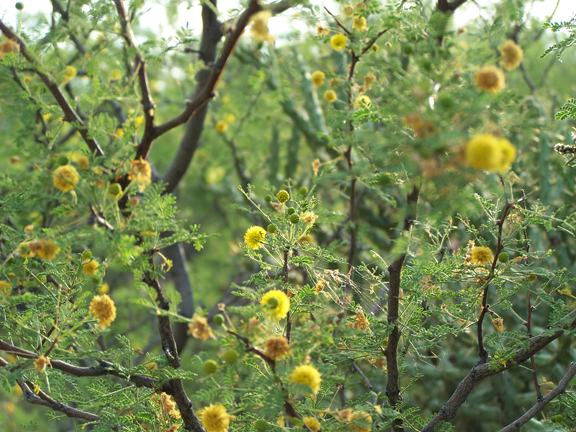 The mesquite trees get long fuzzy pod-like blooms that turn into beans before the monsoons. 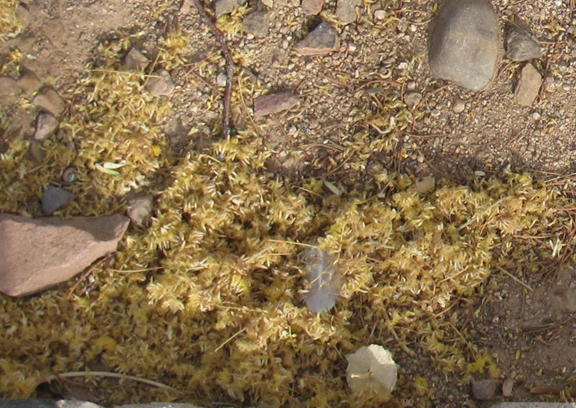 The acacia buds are more vibrant, but just as pollen potent! There is yellow fuzz everywhere you look! On the trees, in the air, even all over the ground! When there’s a good breeze and it’s 100 degrees, we get yellow snow!..Ahhhhhh! 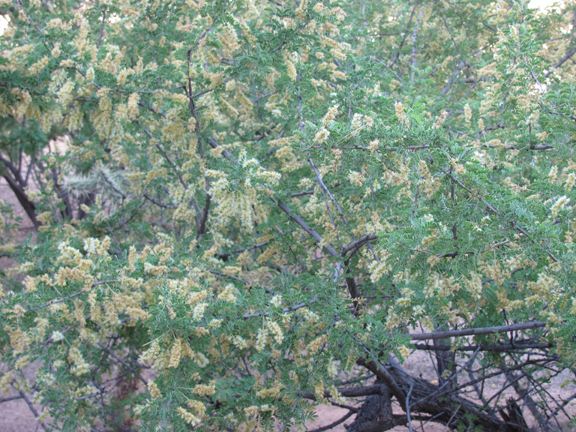 Both the mesquite and acacia buds are fragrant, filling the air with a lovely sweet scent. But you can only smell them until your nasal passages and eyes swell shut. 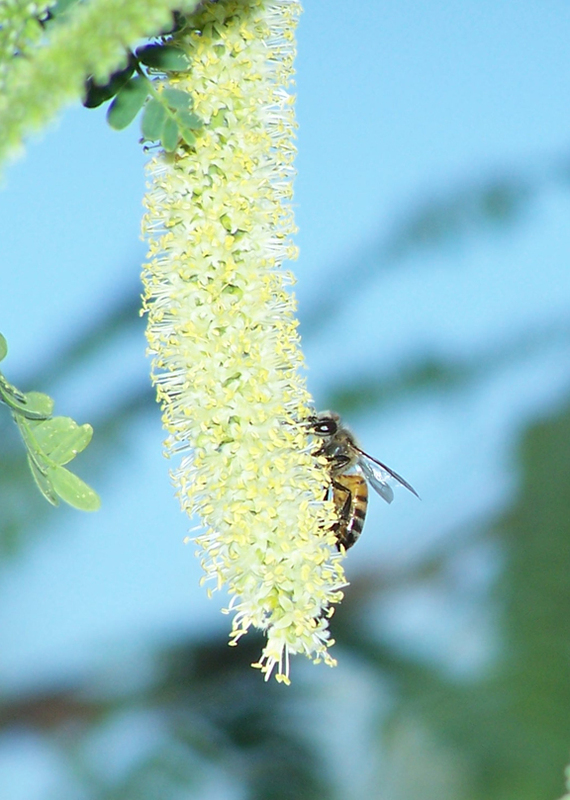 Hopefully, you’re not allergic to bees… ’cause the bees certainly love these trees! 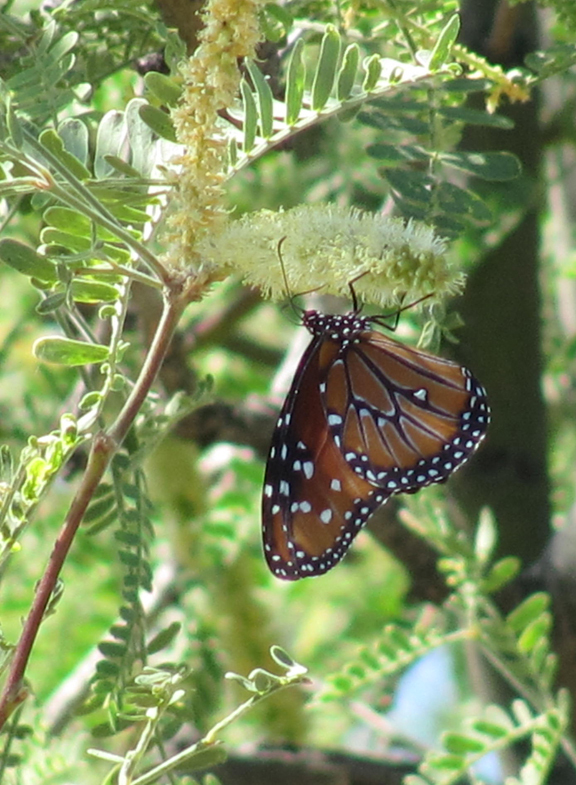 The butterflies come in droves….They go fuzzin’ crazy for these bothersome buds!